In real life, people often use their cell phones to watch video in the bathroom or kitchen, listen to songs or news broadcasts, or do live shows while wearing makeup. If you want to hold your cell phone in your hand, you can’t do anything. Now, we have created a suction cup phone holder that specifically targets the above people and liberates their hands. This product can be placed directly on the table or on the mirror or tile. 2. The main material of our scaffold is ABS engineering plastic, which can resist falling, even if the shelf falls, it will not be damaged. Unlike other mobile phone scaffolds whose material used is very brittle,sometimes can be damaged during transportation. 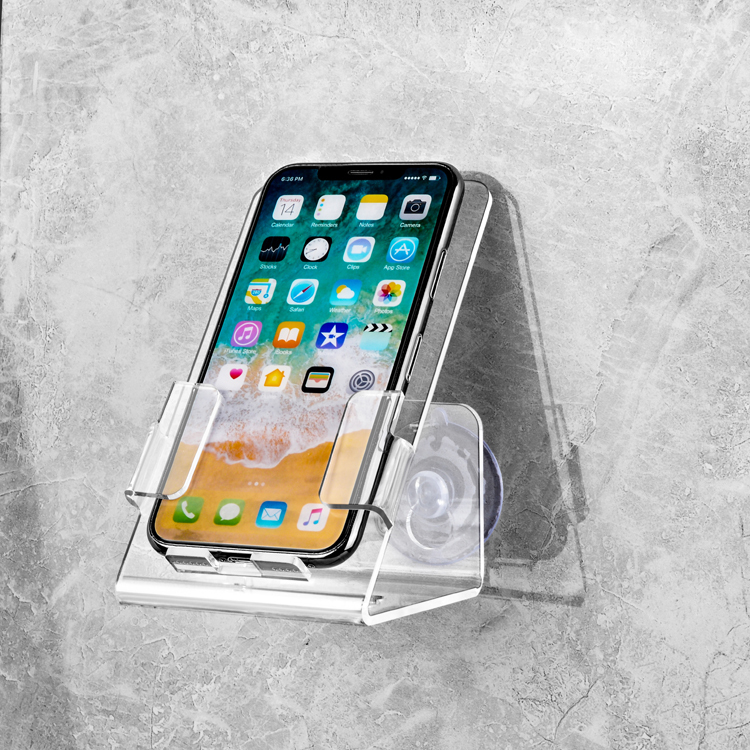 4. we also reserved the gap of the charging line at the bottom of the bracket, you can use the mobile phone while charging, other people’s mobile phone holder does not have this, which means that the mobile phone can not be used. 5. our bracket can be sucked on the bottom of the table you want with the suction cup at the bottom and the shelf will not fall, others do not support this. 6. exquisite color box packaging, can be given as a gift to relatives, friends.